Tuesday 16th November 2010, 6:30 pm. 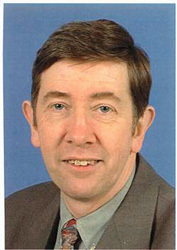 Speaker: Professor Simon Rogerson of the Centre for Computing & Social Responsibility (CCSR) at De Montfort University. In cooperation with Edinburgh branch of BCS, The Chartered Institute for IT, Edinburgh Napier University are hosting a free interactive event on the subject of Computer Ethics on the evening of Tuesday 16th November. The main speaker will be the renowned Professor Simon Rogerson of the Centre for Computing & Social Responsibility (CCSR) at De Montfort University. The event takes place from 6.30pm within Napier’s Merchiston Campus, 10 Colinton Road, and there is free parking on local streets (some metered until 6.30pm). Refreshments will be served after the event as part of a general networking opportunity for students of computing to meet IT professionals and understand the ethical issues that arise in IT careers. All local BCS members are very welcome, and student members are particularly encouraged to attend. For the purp[oses of catering and room size, if you wish to attend please email r.kemmer@napier.ac.uk with the message title: Values and Ethics Lecture. By doing so, your email address will only be used to send you details about this single event. The event is part of the Values and Ethics Lecture Series at Edinburgh Napier University funded by the Gordon Cook Foundation as part of the Confident Futures Programme. Professor Simon Rogerson joined De Montfort University in 1983, following a successful industrial career which culminated in being the Computer Services Manager for Thorn EMI. He now combines lecturing, research and consultancy in the management and ethical aspects of computing. He has published and presented papers in many countries about these issues. In 1995 he became the Director of the newly formed Centre for Computing and Social Responsibility. He conceived and co-direct the ETHICOMP conference series on the ethical impacts of IT. He am a member of the Parliamentary IT Committee in the UK, a Fellow of the Institute for the Managment of Information Systems and a Fellow of the Royal Society for the encouragement of Arts, Manufactures and Commerce.